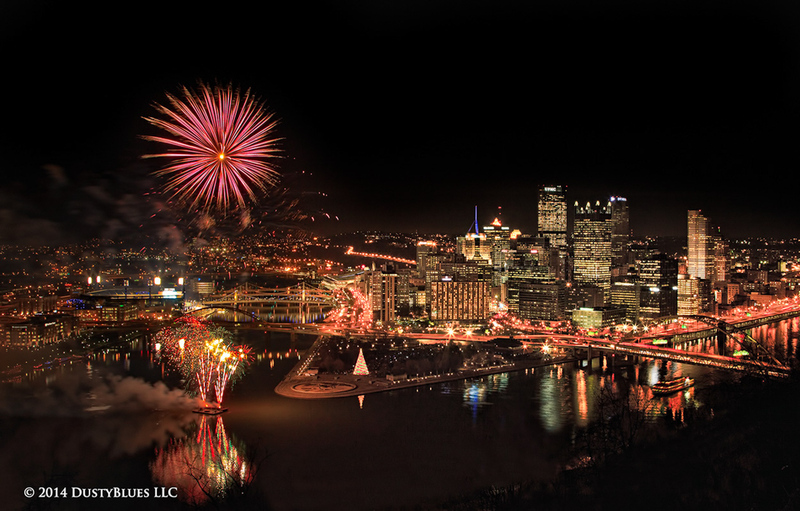 Fireworks Illuminate the skyline. Christmas fireworks embellish the sky over Pittsburgh during Light-Up Night in the downtown area. A barge in the Ohio River pool began their celebration of the season as I sat high overhead on Mt. Washington.